Let’s talk about polar bears – many of us are familiar with Herbert and the sneaky troubles he has caused over the years! From destroying the Penguin Secret Agency by using popcorn to darkening the island during Operation Blackout, and even harming our puffles in Operation Puffle, Herbert has caused quite some chaos! Remember the troubles which Herbert faced in the really cute cartoon short, Puffle Trouble? Unfortunately, Herbert isn’t the only polar bear facing trouble currently, especially since polar bears are still considered a vulnerable species today, which makes days like these even more important to raise awareness regarding the damage being done to polar bears and their habitats. Climate change continues to greatly contribute to this, especially since polar bears rely completely on sea ice, which continues to melt, causing bears to have to travel long distances as habitat becomes more fragile. This sadly increases the risk of accidental contact with spilled oil, along with several other severe issues detrimental to the polar bear population. Sometimes, it can be tricky to see what we can do to help! Sadly, in some cases, it is indeed very difficult, such as when polar bears are sadly sought for decorations, but often it is possible to help animals which are suffering, even if it’s not doing anything drastic! If you’d like to, check out some of the great work which Polar Bears International and WWF are doing. Yes, there are lots of cute polar bear videos and pictures along with interesting statistics and research too! Fifty years from now, what will they say about us here? Did we care for water and the fragile atmosphere? It’s important to mention the importance of that, but polar bears are really amazing animals, and now’s a great chance to celebrate, especially with Herbert around on our island! 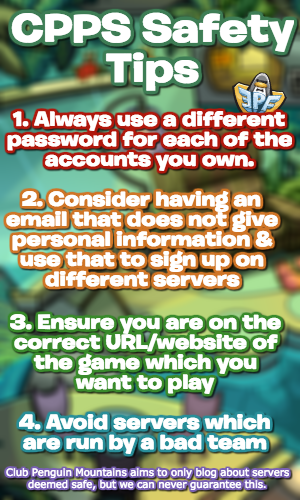 Since the EPF has received some fairly major updates, and it’s International Polar Bear Day, now is a great time to celebrate with a giveaway! 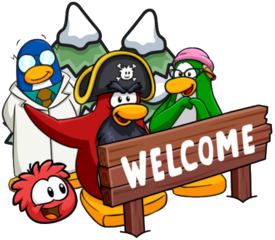 This giveaway is for the eleventh edition of the Club Penguin magazine, which mainly features Herbert, but has an awesome comic on ninjas, some incredible artwork and more! The giveaway winner will be announced on Sunday 3rd March so good luck if you’re planning to enter! Regardless of whether or not you’re entering, maybe we can all do something better to help marine life, sea life and animals across the world. has the team said if Herbert will or will not visit today?